Check out Lumen’s latest news and events. Advancing law enforcement technology, Lumen offers a robust information engine to help identify the “who,” not just the “where” and “when.” In their latest video, Numerica showcases how Lumen works to challenge tedious data mining and put unprecedented levels of information into the hands of those who need it most. With Lumen, users can search internal and cross-jurisdictional data sources to see a simple “baseball card view” of subjects, including information such as past crime history, case reports, known affiliations, addresses, phone numbers, vehicles, and more. 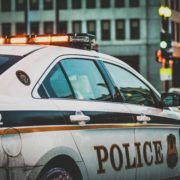 Connect your disparate data sources such as ALPR, CAD, public records, intel, file archives, and virtually any other electronic records for a one-stop shop for law enforcement to search, analyze, and share. Learn more about Lumen HERE. Offender-based policing has been shown to be an effective strategy for crime reduction across the country. However, a key challenge in such efforts is the problem of identifying which offenders should be targeted for intervention or proactive policing outreach. Scoring and ranking offenders usually requires extensive manual collation and calculation using databases and spreadsheets. Because of the labor required to create and maintain an offender ranking and scoring system, the information is often out of date as well. The Lumen Dynamic Scoring Agent is designed to solve this problem. It automatically scores and ranks offenders based on their past involvements in events, using live data that is updated continuously. The results are efficiently scored and ranked at query time so that the user can see the most up to date information on demand. A significant benefit of the Dynamic Scoring Agent is that the scoring algorithm allows users to incorporate their own preferences at query time, so that the scored and ranked results reflect those user preferences. This means that the particular crimes of interest to an agency or an individual can be selected and used in the ranking criteria dynamically – the user is not limited to a “canned” ranking that cannot be changed or edited. For example, a single agency can easily produce separate lists of violent offenders, property crime offenders, and motor vehicle theft offenders (and more) and keep those lists up to date with minimal effort. Furthermore, offender involvements across disparate data sources from multiple agencies are integrated on the fly, so that the user gets a complete awareness of offender scores and activities, regardless of how many data sources or jurisdictions are involved. By automatically correlating offender and event data across multiple data sources, the Dynamic Scoring Agent dramatically reduces the time required to produce a top offender list. 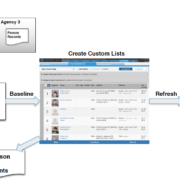 Once a ranked and scored list is created, the Dynamic Scoring Agent automatically keeps the list up to date and allows users to see new activity for any offender on the list. This enables agency-wide offender-based policing strategies to efficiently monitor and adapt as new information becomes available. See this article in Police Chief Magazine HERE. Many state and local agencies have procured their own solutions as well, but deployment has typically been limited to only the largest agencies due to budgetary constraints. However, with the rise of new facial recognition technology that is both more affordable and better than what came before, law enforcement agencies that previously could not afford it might now be able to acquire their own facial recognition solutions. They might also be able to deploy the technology in ways that were previously impossible, such as on a mobile phone, body camera, or dash cam. Before acquiring facial recognition technology, agencies should understand what the technology is capable of and how it can be used, including the answers to these common queries. Facial recognition uses image processing and machine learning algorithms to match a photo of an unidentified person (a “probe” photo) against a database of photos of identified persons. Most face identification algorithms will typically produce a list of possible matches, with each match having a score that indicates the quality or likelihood of a match. Low resolution, poor lighting, motion blur, glare, off-angle faces (tilted, turned to the side, looking up or down), facial hair, glasses, hats, and other details of the probe photos can challenge algorithms to produce a good match. Advances in technology based on algorithms such as “deep learning,” however, have produced significant gains when processing challenging probe photos. The best systems will likely surpass human capabilities for facial recognition in the near future. In face detection, the algorithm attempts to detect faces in an image, without necessarily identifying whose face it is. It may also locate features, such as eyes, nose, mouth, and ears; detect the presence of beards, mustaches, eyeglasses, and hats; and identify gender, race, approximate age, and emotional state. This can be used for many different purposes, including gathering statistics on a large group of people (such as visitors to a building), measuring the reaction of people to a new product, or even determining the possible intent of individuals in a crowd. 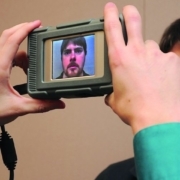 Many facial recognition algorithms are capable of face detection as well. What are the law enforcement uses of facial recognition and face detection technology, and how does the public perceive them? Public perception is an important aspect to consider whenever new technology becomes available to law enforcement. Even though the technology may be perfectly legal when used in appropriate circumstances, lack of information or even misinformation can cause a negative reaction on the part of the public. As a result, it is important for law enforcement decision makers to fully understand the spectrum of possible uses of the technology, as well as how the public may perceive those uses. The simplest and most common use of facial recognition software is to search a database of known offenders for matches of an unidentified suspect in a criminal incident. A prime example of this is a security camera video image of a suspect shoplifting at a retail store. Detectives confront similar scenarios on a regular basis and often have little evidence to go on other than the video and perhaps an eyewitness who might not remember much. However, it is unlikely that even the best facial recognition system would generate just a single match from a security camera photo. Instead, the system will generate a list of possible matches, and the detectives working the case will need to use standard investigative methods to either rule out or further investigate each match, as they would with any investigative lead. Facial recognition holds the promise to generate leads on a great many such cases that might otherwise go unsolved. Each case might not be especially high profile, but, in aggregate, these cases represent a staggering amount of criminal activity. Given that, even a modest increase in closure rates would be significant. Shoplifting, for example, generates billions of dollars in losses every year in the United States, where there are estimated to be almost a million “professional” shoplifters operating, including international shoplifting rings.6 Stopping even a single shoplifter could prevent tens of thousands of dollars in future theft. There are numerous other examples of rarer but higher profile crimes, ranging from terrorism to mass shootings to kidnapping cases, in which the only initial clue to the suspect’s identity was a security camera photo. Although the cases are different, the use of facial recognition in these cases is essentially the same: identify an unknown suspect by searching a photo against a database of known offenders. • Match an unidentified suspect photo obtained in association with a criminal incident with a state database of driver’s license photos. • Match a photo taken with permission (of a suspect or field contact, for example) using an officer’s smartphone with a database of driver’s license or jail booking photos. • Search in real time to match people entering a courthouse with a database of wanted person photos. • Perform a real-time search of airport travelers to match with a database of known terrorists. • Search in real-time from a vehicle-mounted camera to match passersby with a database of wanted person photos. • Search in real-time from a vehicle-mounted camera to match and record the likely identity, time, and location of passersby using a database of driver’s licenses and state identification photos. Many of these capabilities are already a reality today. The key differences between all of these uses come down to two questions: (1) Where and how did law enforcement obtain the probe photo? (2) Where and how did law enforcement obtain the database of photos? The easiest scenario to explain to the public is when both the probe photo and the database are obtained in direct association with criminal activities. If the probe photo is a security camera image and the database is a set of jail booking photos, for example, even the most ardent privacy rights advocate would probably find this use acceptable. If the probe photo is of a person with no known or suspected criminal activity and the database is also a non-criminal database, however, one can imagine the potential for public outcry. • Pay at a fast-food restaurant. • Automate driver check-in for ride-sharing services. • Check in for a flight without a boarding pass. • Automatically identify known customers in a retail store, storing their browsing habits, attention, and estimated emotional state for later analysis. • Automatically identify known shoplifters or disgruntled former employees in a retail store and alert store security. While commercial firms do not have the law enforcement powers of government, they also do not operate under the same legal framework or strictures as a government. As a result, they can often engage in practices that would be inadvisable or even illegal for a government entity. Several of the examples above illustrate this point clearly. When considering facial recognition technology for a law enforcement agency—and when answering questions from the public on how an agency uses such technology—it can be useful to understand the extent to which commercial firms are racing far ahead of many governments. Can facial recognition be used in the cloud? Finally, as more agencies move to using cloud solutions to reduce costs and improve reliability, it is natural to ask if facial recognition can be done in the cloud. Facial recognition used to require an on-premise deployment on an agency’s own servers, but that is no longer the case. More and more providers of facial recognition software offer their solutions in a cloud deployment, which means that there is no software to install and no servers to manage. The key questions to address are how secure the cloud provider is and what the provider’s stance is with respect to CJIS compliance (in the United States) or applicable regulations in the agency’s country. There are multiple cloud providers today offering facial recognition in a CJIS-compliant cloud environment. Clearly, facial recognition software has come a long way and can play a critically important role in law enforcement in the future. Therefore, it is essential for law enforcement agencies to take proper precautions, both in purchasing and using this technology. Preparing the public for how facial recognition software works, what it can (and can’t) do, and how it can have a positive impact on reducing crime will go a long way toward creating an atmosphere of cooperation and trust. Don Wick recently retired as chief of the Arvada, Colorado, Police Department. He currently serves as director of operations at Numerica Corporation, where he focuses on Lumen, Numerica’s law enforcement search, analysis, and data sharing platform. 1 “Just Smile: In KFC China Store, Diners Have a New Way to Pay,” Reuters, September 1, 2017. 2See, for example, Laura Entis, “JetBlue and Delta Are Testing Facial Recognition and Fingerprints to Replace Boarding Passes,” Fortune, June 1, 2017; Sean O’Kane, “British Airways Brings Its Biometric Identification Gates to Three More US Airports,” The Verge, March 9, 2018. 3Nick Summers, “UK Police Make First Arrest Triggered by Facial Recognition,” Engadget, June 6, 2017. 4 Christina Zhao, “Jaywalking in China: Facial Recognition Surveillance Will Soon Fine Citizens via Text Message,” Newsweek, March 27, 2018. 6 Read Hayes, Organized Retail Crime Annual Report, 2008. Numerica Corporation – which develops intuitive law enforcement database software, crime analysis software, and analytics – announced today that it has been awarded an Information Technology Schedule 70 contract by the General Services Administration (GSA). The GSA is the premier procurement arm for all federal government agencies. Under the new contract, federal, state, and local government agencies will be able to access Numerica’s solutions via GSA Advantage!®, the government’s electronic online ordering system, at www.gsaadvantage.gov. Through GSA contract number 47QTCA18D00AB, Numerica will offer its Lumen Desktop, Mobile, and Enterprise solutions, as well as professional services and training, to government agencies. Lumen Desktop provides a powerful, but easy-to-use interface to rapidly focus criminal and intelligence investigations and analysis on the most relevant people, places, and events. Lumen Desktop users can also search, analyze, and share data, produce photo lineups, automatically create link charts, and map disparate data sources. Lumen Mobile is a simple mobile interface which enables patrol, detectives and other officers in the field to quickly and easily find information related to any entity from a smartphone or tablet. The entire Lumen suite of solutions is compliant with the FBI’s Criminal Justice Information Services (CJIS) Policy. For more information about Lumen and Numerica Corporation, visit https://www.numerica.us/lumen. We’ll be in Anaheim for the 2018 LEIU/IALEIA Training Event this week. Make sure to stop by Booth 110 to see the newest solutions from Lumen that are transforming investigations and offender-based policing. 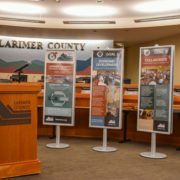 Case Study: How the Mesa County Sheriff’s Office Used Lumen to Implement an Intelligence-Led Approach to Policing to Reduce Preventable Crime by 31% in High-Crime Areas. 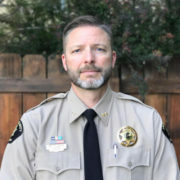 The Mesa County, Colorado Sheriff’s Office was experiencing a marked increase in crime, particularly in the areas of property crime, homicide, and sexual assault. The office also recognized that there was a significant gap between the data contained in its information management system and the information that was readily available to its deputies on the street. https://www.numerica.us/wp-content/uploads/2018/03/Mesa-Lewis-Picture-2.jpg 502 500 Numerica https://www.numerica.us/wp-content/uploads/2014/11/logo1.png Numerica2018-03-22 09:51:012018-05-02 13:55:51Case Study: How the Mesa County Sheriff’s Office Used Lumen to Implement an Intelligence-Led Approach to Policing to Reduce Preventable Crime by 31% in High-Crime Areas. 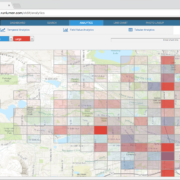 The Denver Police Department has signed an enterprise-wide upgrade of Lumen – a state-of-the-art data sharing software that combines access to real-time data with advanced analytics – to enhance data-driven law enforcement activities for more effective policing. 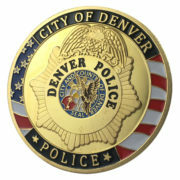 Developed by Colorado-based Numerica Corporation, Lumen enables the entire Denver Police Department, including more than 1,400 sworn officers and numerous civilian employees, to search, analyze, and share crucial law enforcement data from multiple databases across multiple jurisdictions with a single click. Lumen Mobile, a simple mobile interface which enables users on a smartphone to quickly and easily find information related to any entity. Numerica delivers state-of-the-art defense and law enforcement solutions to both government and industry customers. For its law enforcement customers, Numerica provides mission-critical insights to law enforcement, intelligence, and security professionals through the development of intuitive law enforcement database software, crime analysis software, and analytics. What can we say that Chief Wick didn’t already cover? Lumen is easy to use, easy to customize, accessible, and secure. Let’s break this down a bit more, showing you how commanders, patrol officers, and law enforcement officials from top to bottom can take advantage of Lumen to bring safety and justice to their communities. Police commanders are the fearless, pragmatic leaders of any law enforcement agency—while patrol officers are out in the field, commanders are responsible for overseeing day-to-day operations and taking on big-picture initiatives that fix widespread community problems. But there’s a huge difference between what is a community problem and what is perceived as a community problem. Data drives action—it goes beyond empirical evidence, and provides more concrete and reliable information from which commanders and other law enforcement agency team members can create meaningful policing initiatives. It’s important for identifying problems that don’t necessarily reveal themselves in the field, and it helps commanders give data-driven briefings that are more meaningful to the officers who carry out initiatives on a daily basis. Numbers don’t lie—giving these numbers context and organizing them in a way that is meaningful and useful is the real challenge. That’s where Lumen can help. Lumen compiles crucial law enforcement data from multiple databases across multiple jurisdictions, giving law enforcement agencies the big-picture information they need, and empowering commanders to lead with data-driven ideas and action. Lumen helps commanders and officers take action—but it also helps them follow through on that action as well. Initiatives are nothing without tangible results, and that’s where Lumen comes in handy. 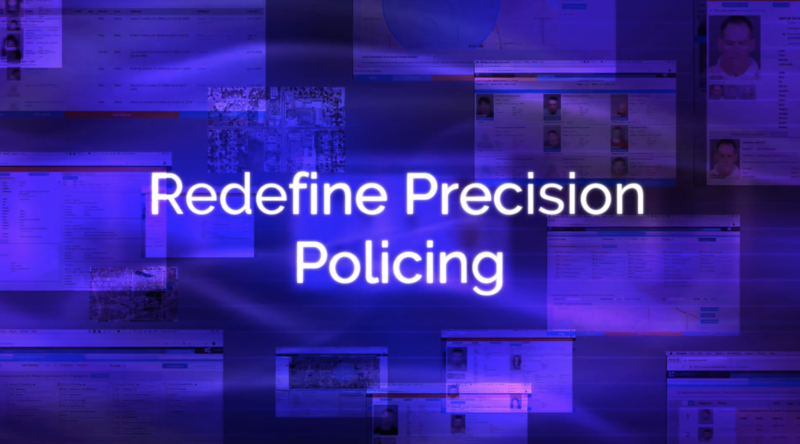 Use real-time data and advanced analytics to monitor the progress of your initiatives, and make adjustments on-the-fly for more effective policing. Analyze the past, set achievable goals for the future, and keep your finger on the pulse in the present moment—that’s how law enforcement agencies stay effective in a fast-paced, data-driven age. The general public (and even people inside your own agency) may never understand how effective your agency really is—unless you have numbers to back up your hard work. 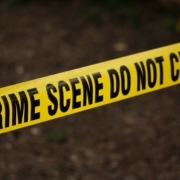 Crime analysis software doesn’t just help you increase your operational effectiveness—it gives you the data to prove it. Don’t just take our word for it—and don’t just take the word of Chief Wick. Experience Lumen for yourself today. Please join us for our monthly Lumen Training Webinar on June 22nd at 10am MDT. This month, we’ll be discussing the analytics tools in Lumen Desktop. We’ll walk through temporal, field value, tabular, and spatial analytics to show you how you can easily identify trends and patterns using any information in your data, without being restricted to canned reports.